The students have to remember the days of the week, months, and describe the weather. Thank you!!! This printable, downloadable handout is intended for high school students, elementary school students and adults at Elementary (A1), Pre-intermediate (A2), Intermediate (B1) and Upper-intermediate (B2) level. It can be used for working on your pupils' Speaking and Reading skills. 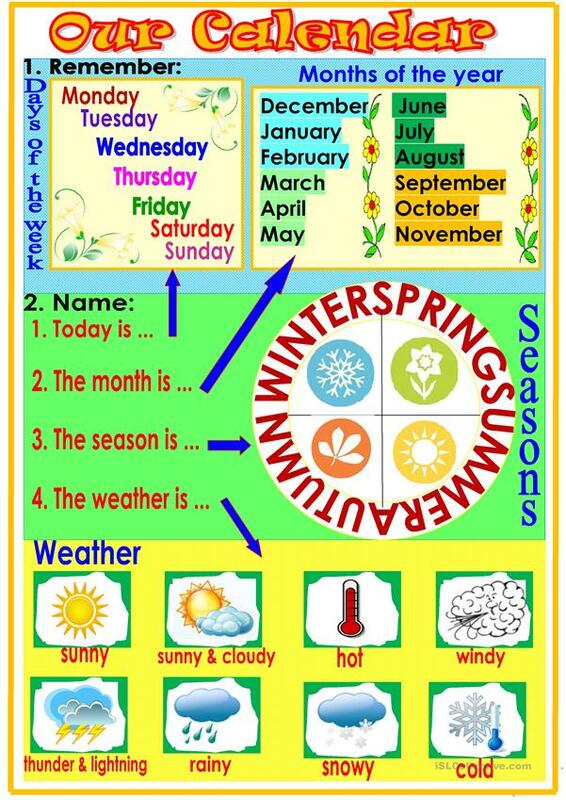 It is focused on the topic and words of Days of the week.